Each Zqueaker Buddy is filled with multiple squeakers and crackle ensuring that your pup will enjoy all two feet of fun. 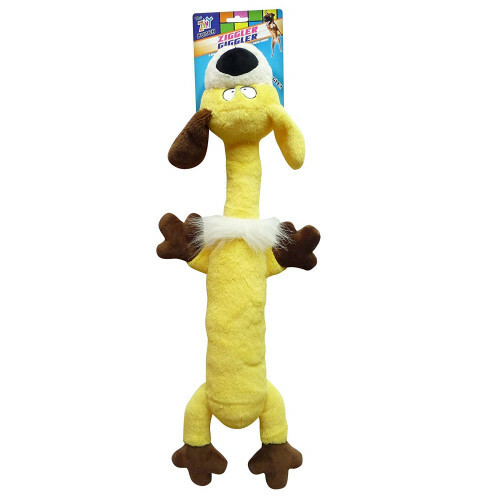 These super soft plush dog toys are the perfect play and cuddle companions. Comes in assorted the Yellow Dog Character, our best seller! Zany Bunch Zqueaker Buddies are super squeaky fun in a super-sized plush! Each Zqueaker Buddy is filled with multiple squeakers and crackle ensuring that your pup will enjoy all two feet of fun. 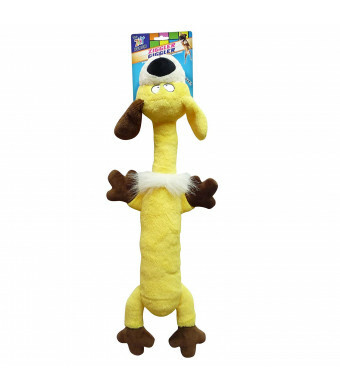 These super soft plush dog toys are the perfect play and cuddle companions.